Mediterranean Hackberry is a deciduous tree that can grow up to 25 m tall. The bark is smooth and grey, almost elephantine. The alternate leaves are narrow and sharp-toothed, rough above and woolly below, 5-15 cm long and dark grey/green throughout the year, fading to a pale yellow before falling in autumn. 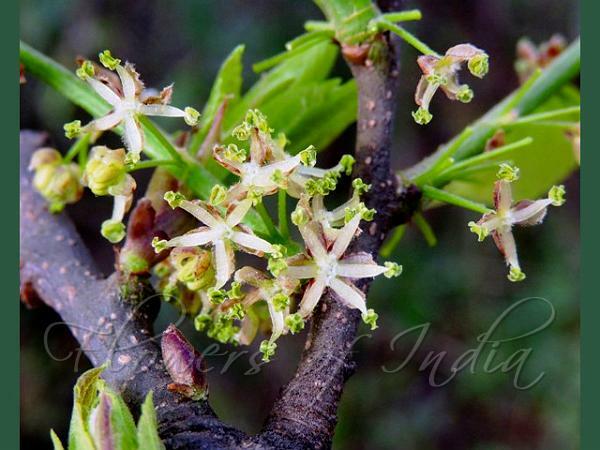 The apetalous wind-pollinated flowers are perfect (hermaphrodite, having both male and female organs), small and green, either singly or in small clusters. 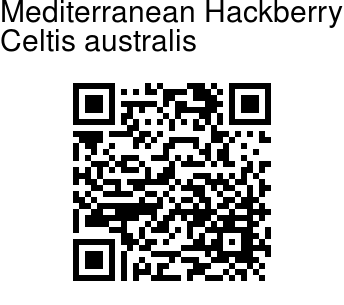 The fruit is a small, dark-purple berry-like drupe, 1 cm wide, hanging in short clusters, and are extremely popular with birds and other wildlife.Mediterranean Hackberry is native to southern Europe, North Africa, and Asia Minor.